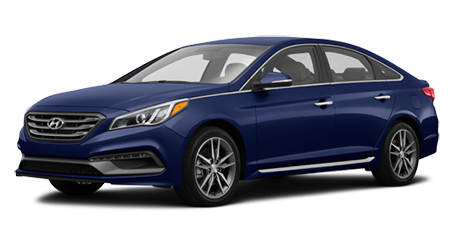 The Hyundai Sonata is a very affordable sedan but getting the used model will have you even more comfortable about the price. Come in and check out the selection of used Sonata sedans we have available and test drive the one you desire. We guarantee you'll like the ride and even more so the price because we offer only the lowest deals on all new as well as used Hyundai vehicles. Our Butler Hyundai dealership services the cities of Grants Pass, Klamath Falls and the Medford Metro Area, OR and encourages all drivers to come and see our selection of used vehicles. The Sonata is a very dependable family vehicle and you'll notice just that during your first drive. Along with dependability, you'll also notice the beautiful design with the exterior as well as interior of the car being very attractive. There are just so many great features to the Sonata. The ride is very smooth and comfortable, looks are very stylish and the features are mind blowing. So many standard features are packed into this sedan and too many to list. The used Sonata will make the most perfect family car and the price of it will light up the faces of everyone in your family. Financing is made easy and simply for the used Sonata and every other car in our dealership. Drive away in the Sonata of your dreams with the most affordable monthly payment. Our dealership has a good amount of used Sonatas in stock and would like to show you the color of your choice followed by a test drive. Our sales team members will gladly go over all the features of any used Sonata and answer any questions you might have. Your satisfaction is very important for us and we aim to please during and after each sale.